Rocky Ridge is known for their quality GMC conversion vans. Combining luxury with functionality, you can look good driving down the road while still retaining a large living space with plenty of storage. Visit our showroom at Rocky Ridge to walk into your new van. The moment you experience the space and convenience, you’ll be ready to take off on your next adventure. 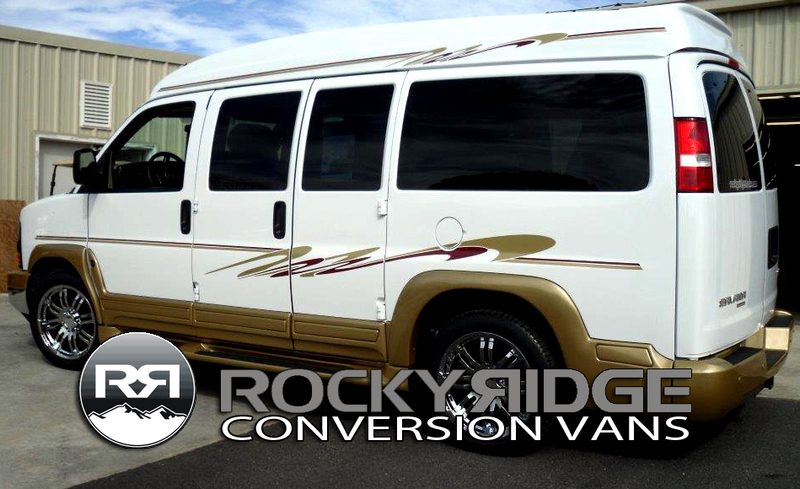 Your new Rocky Ridge GMC conversion van has the appearance of one sleek unit rather than a typical converted vehicle. A color keyed high top roof blends neatly into the doors and matching running boards. Along the van’s length is sporty pintape, giving the vehicle a streamlined appearance. Bright headlights and a comfortable ground height makes this conversion van perfect for dirt roads and hidden camping sites. It can take some rough riding to escape the everyday world. Your main seating area has several cup holders for those long drives. If you decide to go swimming,your wet towels and suits are not relegated to a pile on the floor. Hang them on your fold down clothes rod. 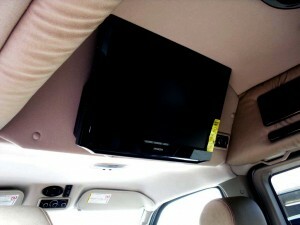 You reduce mildew buildup and keep your GMC conversion van smelling brand new. 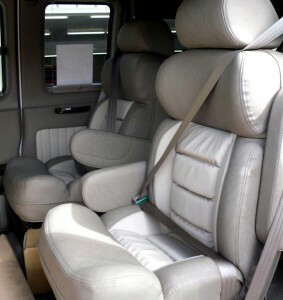 Your Rocky Ridge GMC conversion van has a wide body interior construction system, making this vehicle sturdy on the road. Safety restraints are standard in all models so you are safe in the event of an accident. Even your comfort is our concern. Because you’ll use this van for overnight adventures, it has R-11 insulation built right into the walls and doors. You’ll never feel a rush of cold air from door seams.